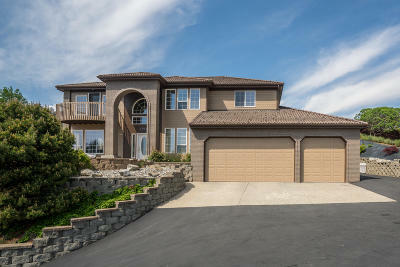 Beautiful well maintained 6 Bed, 3.5 baths with Incredible views of Wenatchee Valley, River and City. With these extraordinary views you get Extra parking and a park-like backyard. Bonus is a new Trane heat pump and furnace. The Master has a private terrace with the best views in the entire house leaving space to open the door and relax. Everyone will enjoy the community pool.